THEY WITHERED BECAUSE THEY HAD NO ROOT. Mathew 13:6…they withered because they had no root. Greetings to all brothers and sisters! I didn’t knew what she meant that time, but now I know …. I don’t just mug up the word of God but meditate it in my heart…It means that while reading the word, your heart must not wander anywhere. Christian life is not just hearing and seeing, but it is following and doing. We hear the word, we see the miracles but we just don’t follow what we have heard and experienced and this is a new tactic of Satan. Now you tell me what will happen to that student if he just hears what his teacher is teaching in classroom and not do his homework ?…A Christian who does not do his homework is weak and one day he will fall. Are you a believer who just hears the word of God in church and try to live a holy life in church compounds only??? Yes many become saints when they are in church compounds, among other believers. They talk about faith and salvation among their fellow church members but what about when you out??? My author encouraged me to glean some truths out of this text that are so relevant to what we are facing today “They withered because they had no root”.Now out of four gospels, except John, rest all three have mentioned about this parable. Jesus said,” I AM THE WAY, THE TRUTH AND THE LIFE”….and whoever believes in Jesus will have life …yes abundant life. This parable talks about 4 grounds and one seed. I don’t want to go in deep about all the grounds. I will share it if my author tells me to write later on. At present, I would like to write about that seed which fell on stony place. The seed was good. That’s why it yielded and bore fruits when sowed on good ground. So the problem is not with the seed, but the problem is with the ground. Now my question to the reader is this. SEED IS GOOD. ARE YOU A GOOD GROUND? Why do we believers have divisions among ourselves? Acts of apostles 4:32 says,” Now the multitude of those who believed were of one heart and one soul. Neither did anyone say that any of the things he possessed was his own, but they had all things in common.” Today, why is it easy for the devil to come inside the church and attack us, believers ? Why was it hard for him to attack the earlier church??? They had something which we don’t have this time. If you read the same verse it is written ‘those who believed’ …yes we all believe in Jesus Christ. ‘Were of one heart and soul’…..our problem is that we have divisions here. “They had all things in common”…. But we boast of things and say that it is our possession. If you are a good ground, you will yield the fruit of the spirit . (Gal 5: 22, 23). Now just for a while let us meditate on that seed which fell on stony place. There was little soil on the stone, but it was not complete soil. The stone was actually hidden. Have you ever tried to hear the word of God with hidden sins or weakness in your heart??? If yes, then you are like the ground with little soil and hard stone hiding deep inside. These types of characters are those who have little faith in God. They haven’t confessed their sins and weakness before God…They are still hiding them deep in their hearts…beneath what they have heard. Jesus is not trying to say that they don’t receive the word. They receive the word for sure, and they receive it with gladness and joy. The problem is not with the receiving. They are good listeners. They mark all the points in their Bible. They record it in a recorder. But the problem comes when the sun is up (Mathew Ch 13:6). Two things are clearly mentioned in this text. First, when the sun was up, it was scorched. Second, it got withered away because it had no root. Now the meaning of scorched and withered is different. Scorched means damage of the texture or discolor due to heat produced. Withered means to dry up, to droop or to lose freshness. 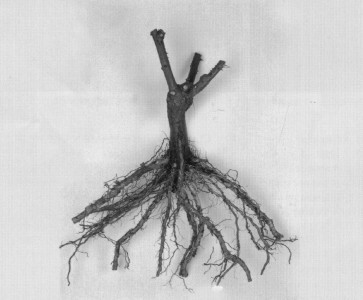 Every seed has an ability to produce roots… Then why this seed had no root? I complained that that’s why it withered away. Now you need to know something that the root of a seed has an ability to stand still in front of the sun…Even though the outer covering may lose the texture and color, the life is still there, because the roots is still there. Confess your secret sins… which are hidden. Those of you, who don’t want to confess them, don’t think that God is ignorant of them. These hidden sins are the stony place which does not allow the seed (word) to lay its root on you. Roots have a control on the tree. Likewise these hidden sins will never allow the word which you have heard to lay its control on your life, until and unless you confess it with your mouth and repent. The people with this kind of character receives the word of God with joy and gladness, but with the hidden sins (hidden stone). Hence, when the sun is up, when they are tested because of the word which they have heard, they lose their little faith and due to the hidden sins, word cannot heal them. Most of our churches are filled with such kind of characters of living sinners. They are neither hot nor cold, but in a lukewarm stage. Now let’s suppose that this ground did not have any stone ….Then the case would be different. The sun is up. It may scorch and the outer structure may be destroyed, but they will not wither and stumble, because the root has a control on it. If the word has root on you, you will have testing periods and scorching situations that destroy your outer texture, your reputation, your finance, your job or anything. But all these scorching situations will not wither you away because the root has got hold on you. Joseph had a dream. He then went through the dry well, deceiving brothers, slavery and jail. All these scorched Joseph. His outer texture was gone but had not withered away. Promise was still alive. So he stood still and God raised him up. Likewise you will also have His promise, His word but also persecutions and hardships but if you cling on to the promise ….you will bear fruits hundredfold. What does the root do?? It runs for water that time to provide for the plant and that makes the plant stand still even in scorching heat. The grace of our Lord, power of Holy Spirit, and love of our Father will make you to stand still in every persecution, hardship because all things work together for good for those who love God.